Wales continues to be one of the poorest regions in the UK, and the south east of England continues to be one of the wealthiest region. A pattern which hasn’t changed for the best part of 100 years. 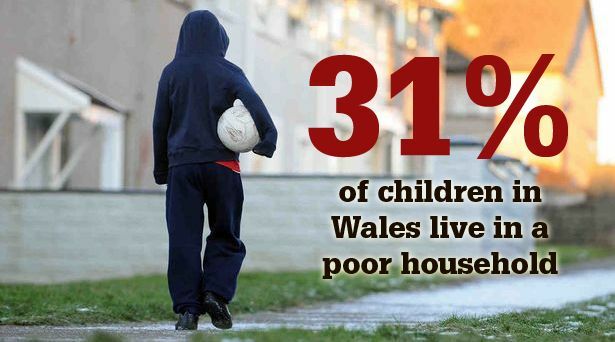 Notice that we have only 4.1% of the UK’s GDHI, even though Wales has 5% of the population. This reflects the fact that wages are significantly lower here, more of the people who are in work have low paying part time work, and more of our citizens are dependent on various benefits because of a history of chronic ill-health and other factors. Detailed statistics of ‘sub-regional’ levels within England shows that West London’s GDHI per head (the area in which Westminster is situated) stands at a whopping £41,393. The Gwent Valleys stands at a miserable £13,924. It’s good to note that the disparity in Wales – the wealth gap, so to speak – is much less than it is in England, with the Gwent Valleys having the lowest GDHI per head and Powys having the highest, at £16,634 (West Wales and the Valleys, which is considered one of the poorest regions in the EU – as it was – stands at £14,933). However Social Contributions and Benefits represents much more of the GDHI in Wales than elsewhere, with it making up 24.1% of our gross disposable household income. Only 12.6% of the GDHI in London is made up of social contributions and benefits. With the UK Government’s austerity measures, slashing welfare payments, this explains why our gross disposable household income fell by 0.5% in 2013 and fell by another 0.1% in 2014 . Wales, the south west of England (including Cornwall) and Northern Ireland are the only three countries and regions within the UK where ‘Compensation for employment’ (wages) represents less than half of our disposable income (Wales 48.4%, SW England incl. Cornwall 47.6%, NI 48.8%). The disparity in disposable incomes between countries and regions within the UK is far, far more than in any other country within Europe (based on value of £ in 2014 – with Brexit and the fall in the value of the £ to an all time low this will have changed a lot since then). The UK’s economic policies are drawn up in London, SE England. The UK’s wealthiest regions are London and the SE of England. Westminster isn’t working for Wales.